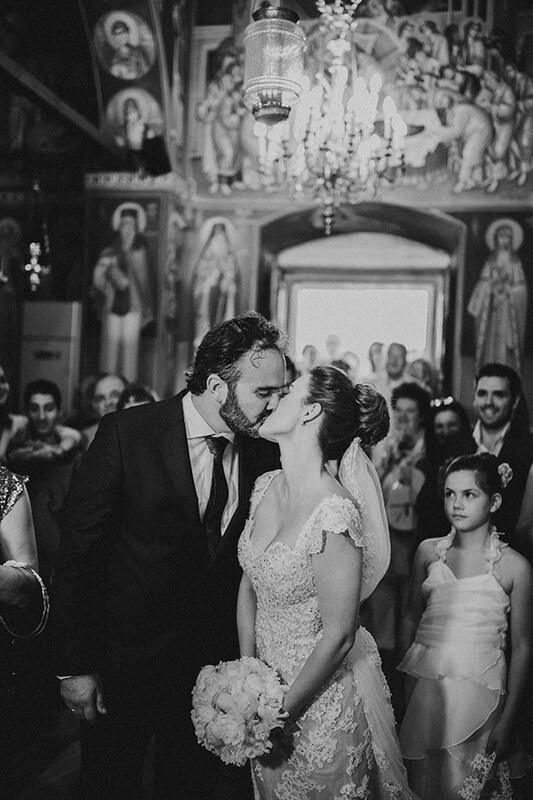 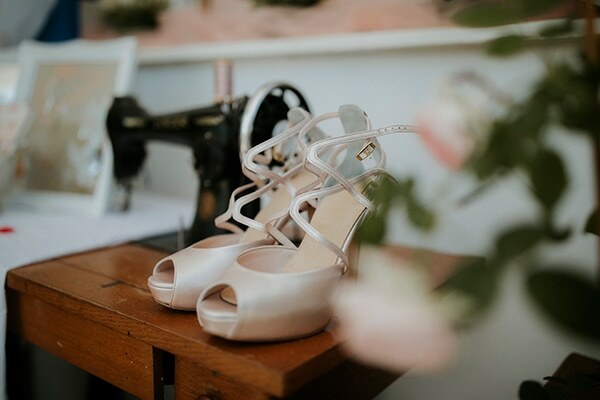 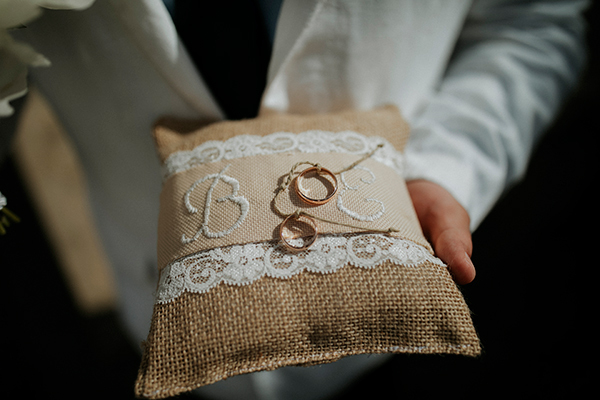 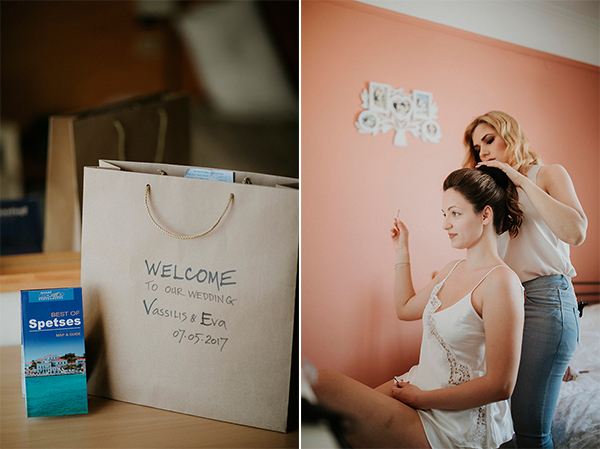 The special day of these two lovebirds transmits a vintage, romantic feeling. 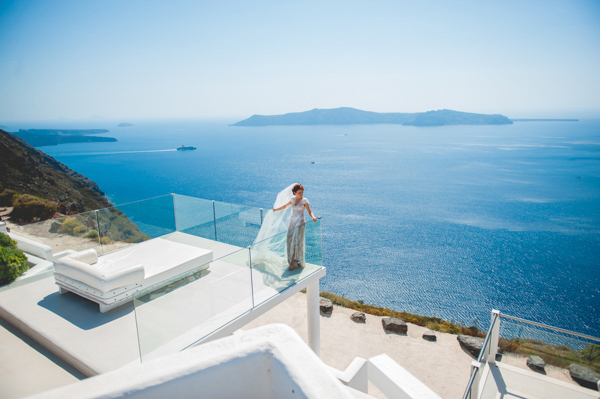 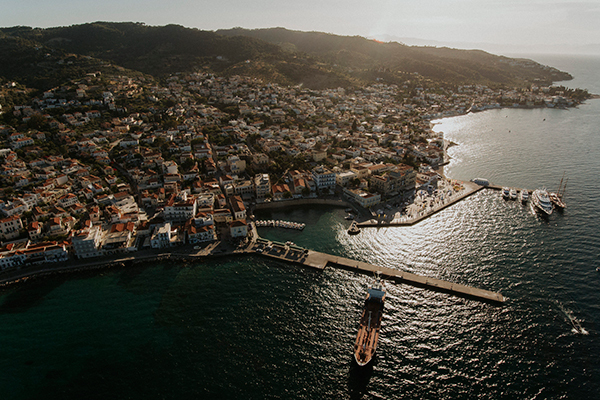 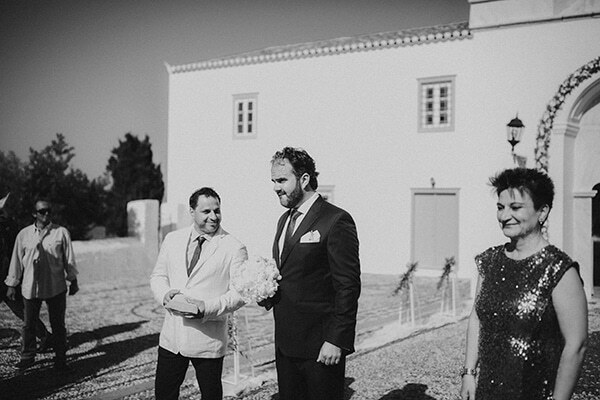 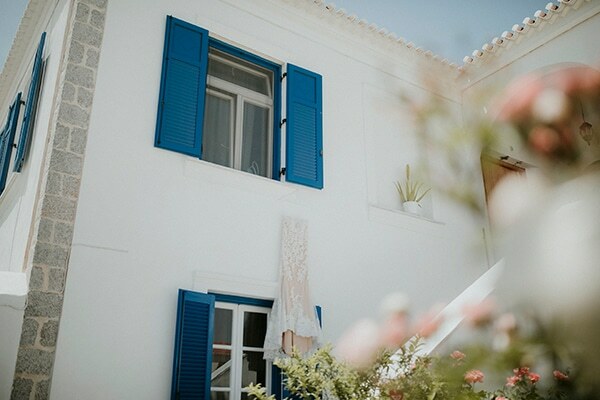 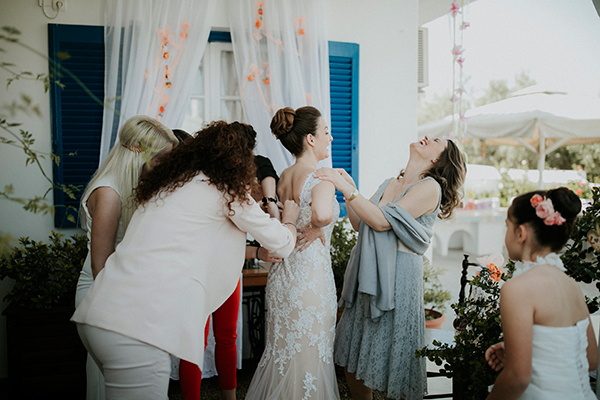 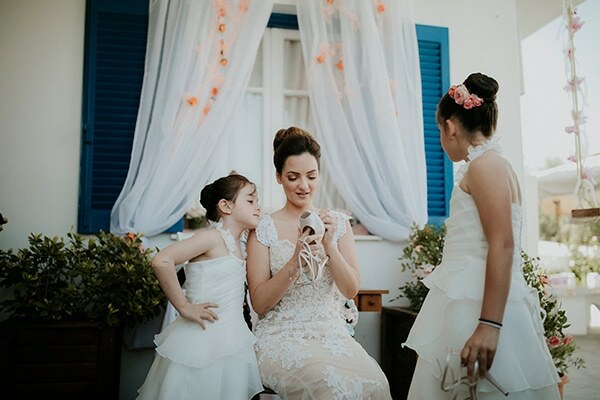 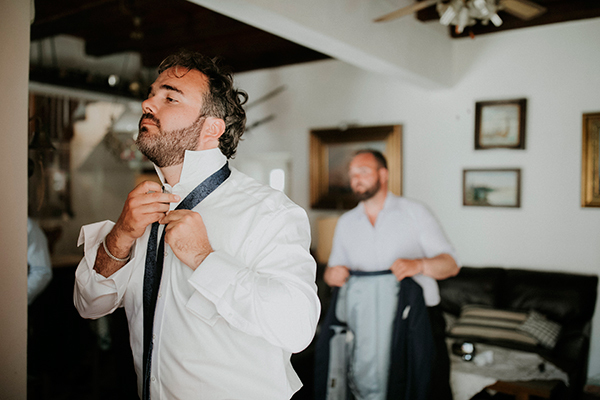 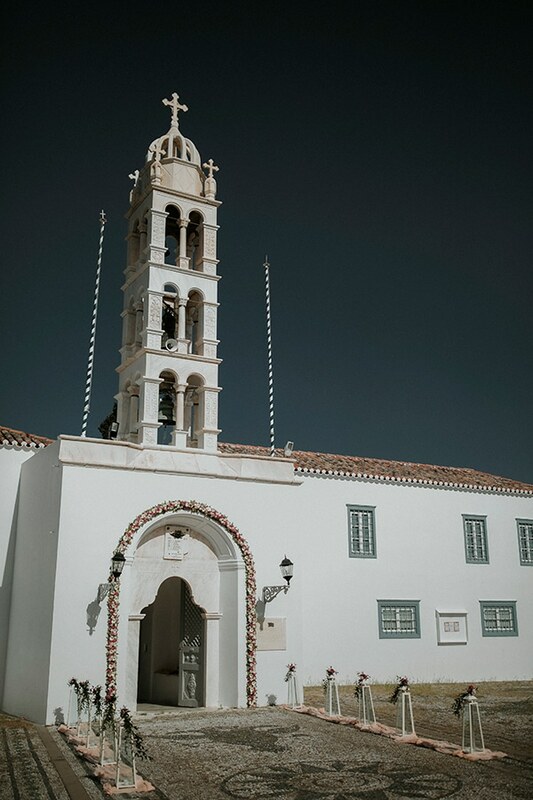 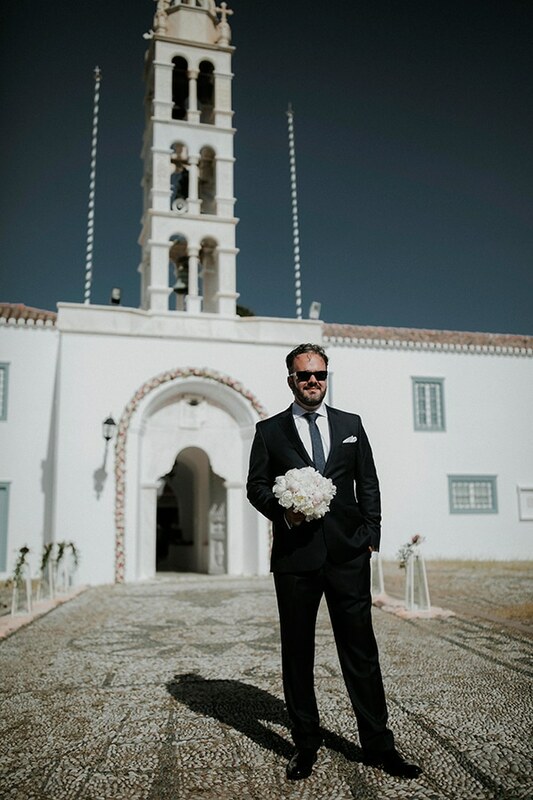 The wedding took place in the beautiful Greek island of Spetses, a perfect place for a calm, weekend trip or a special event. 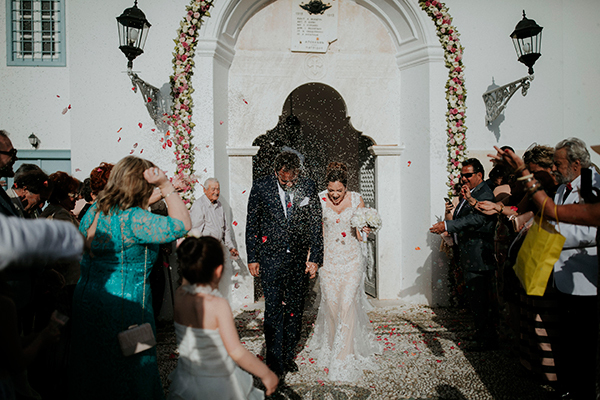 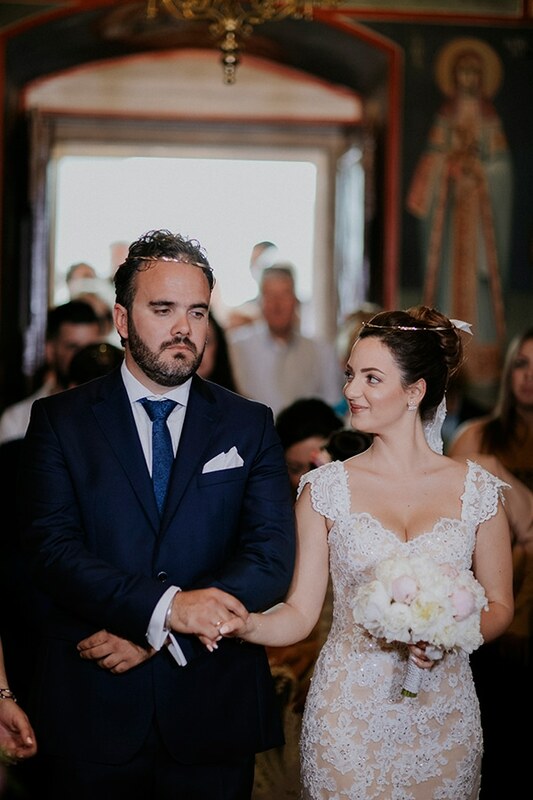 The gorgeous bride arrived to the church just like a fairytale princess… With a carriage, decorated beautifully with fresh flowers in pink and white hues. 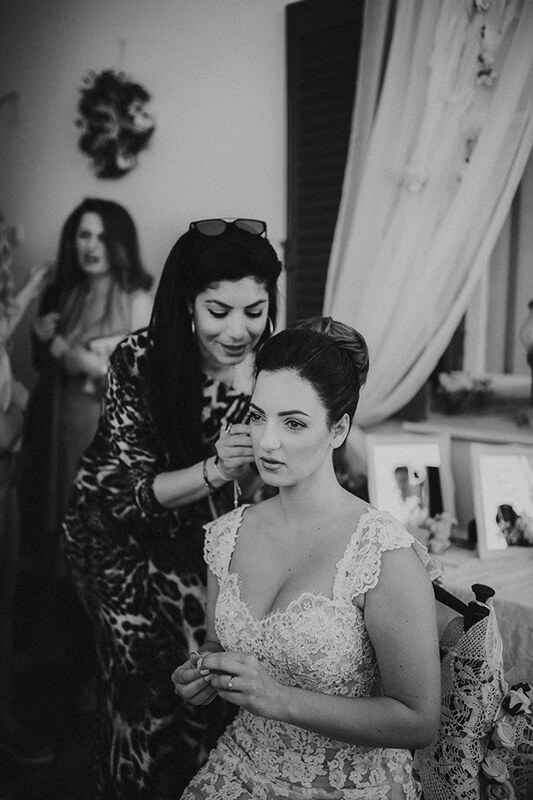 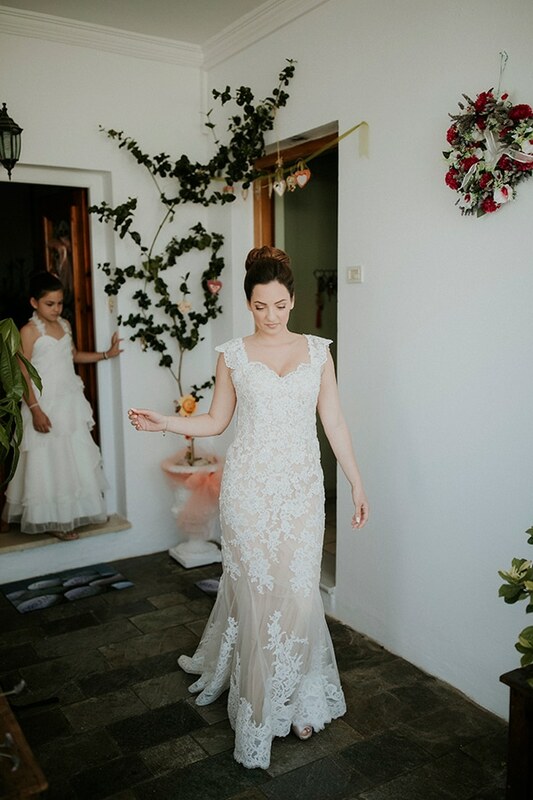 We loved the unique wedding dress covered in lace that highlighted her body and enhanced her elegant look! 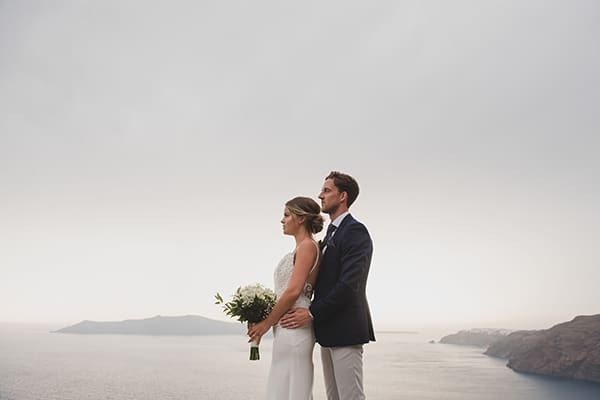 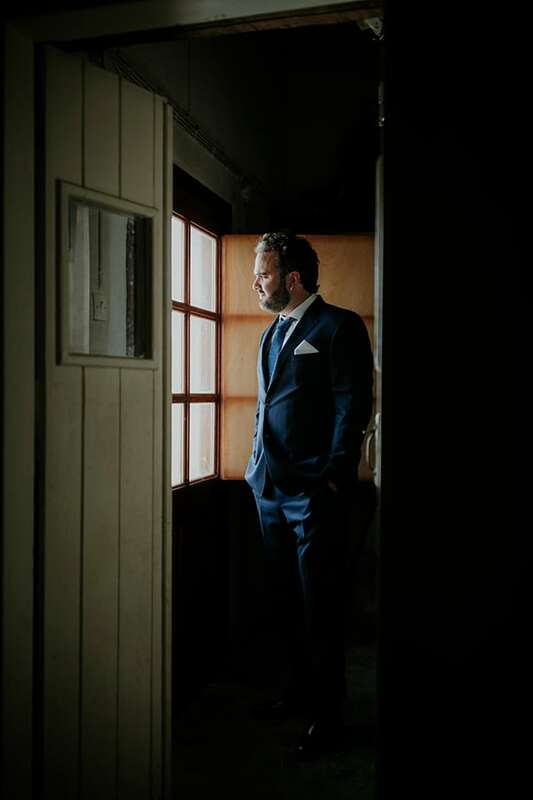 Get lost in the following daydream images by White on Black Studio!